Gorgy Timing and Oscilloquartz time clocks synchronize receiver clocks, displaying the time in classrooms, corridors, library and playground, and they also can synchronize the computer networks with time servers. The programming units Gorgy Timing and Oscilloquartz can trigger the ringtones at the beginning and at the end of the course but also enable to save energy by schedule programming for heating or lighting . 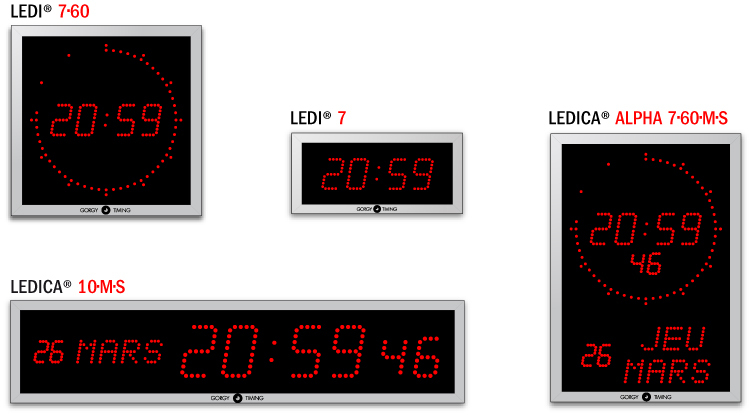 Gorgy Timing and Oscilloquartz offers a wide range of master clocks and receiver clocks. Communication between the school, the students, or students parents, goes via text displays to display information.